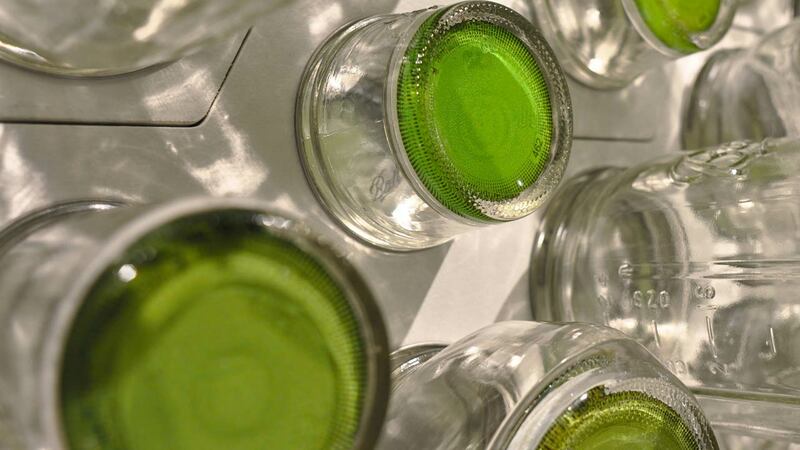 enChroma expresses the essence of Ball brand jars by using them as the primary medium to represent the process of canning, and the lifestyle associated with the products. At the core of the Ball Jar identity is the art of preserving. The abstracted image depicts ripe wild berries in a field, ready to be picked. 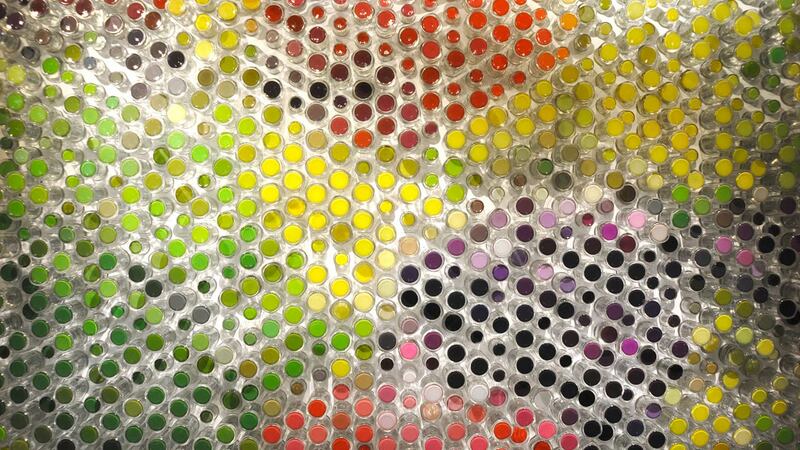 Conceptually, the vibrant colors of the imagery are preserved as individual pixels in each jar. This project was commissioned by Jarden Home Brands as a feature wall in their newly renovated space. 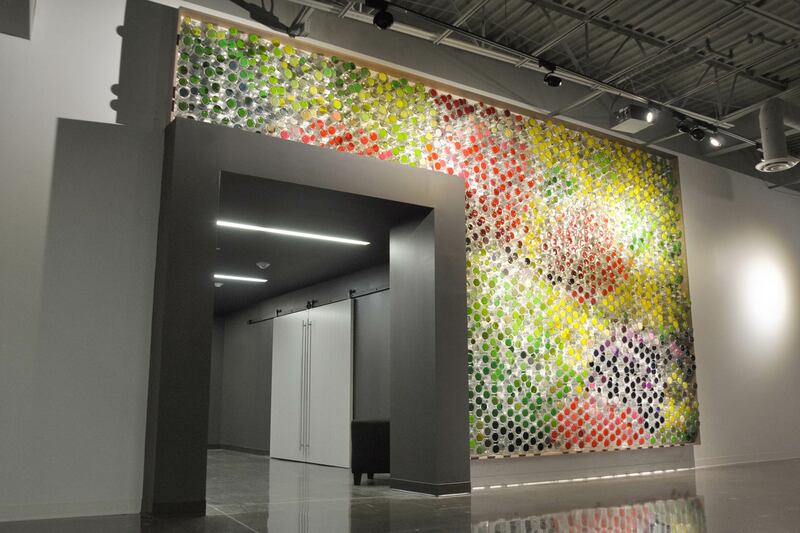 The piece was intended to provide vibrancy to the lobby and tell a narrative about the company and the Ball brand jar identity. Starting with the base image, we analyzed its pixel data and associated a color to each Ball Jar. 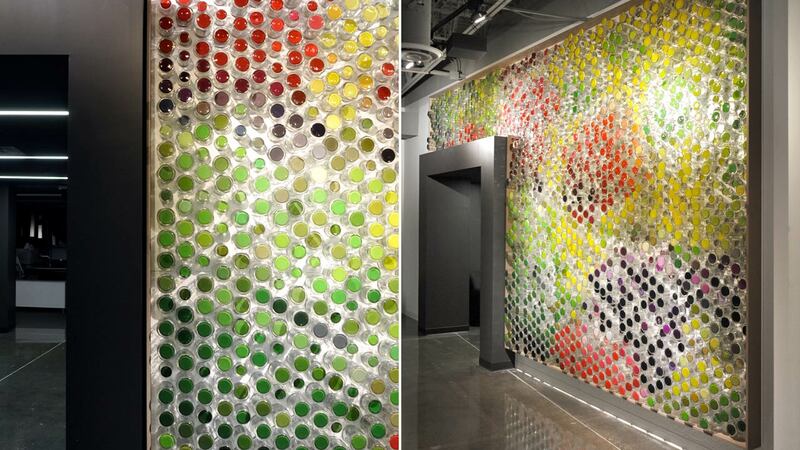 Colored discs were cast into the base of the jars in a clear rubber, as if they are floating from the wall. The clear jar becomes the framework for this effect, encapsulating the colors of the wall graphic. 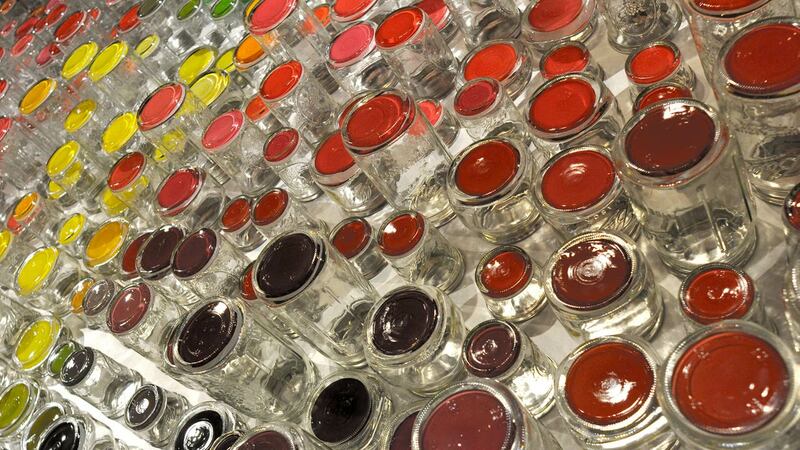 Formally, we highlighted the wide array of jars that are offered to customers. A vertical gradient has been created from the Ball 32oz. Wide Mouth at the base of the wall transitioning up to a variety of other jars with multiple heights and diameters. This creates a textured, dynamic field across the wall while showcasing the numerous products. The project compliments and highlights the unique qualities of the jars, while creating a visually interesting piece for visitors and employees of Jarden.